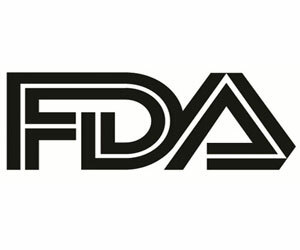 The US Food and Drugs Administration ,FDA has approved a a breakthrough, portable respiratory monitoring device . The Gas Exchange Monitor is invented to provide real-time, clinically actionable data. This ground-breaking technology is transforming the approach to measuring pulmonary gas exchange in a wide variety of respiratory disease. The breakthrough Gas Exchange Monitor shall be manufactured and marketed by MediPines. The Novel physiologic results on world elite freedivers’ using the non-invasive MediPines Gas Exchange Monitor were presented at the Experimental Biology 2019 conference. Dr. Philip Ainslie, Co-Director of the Centre for Heart, Lung and Vascular Health at the University of British Columbia, with his research team, conducted the study in Split, Croatia that formed basis for approval. As technology advances, and as the demand for non-invasive, point-of-care measurements increases, it is now possible for a non-invasive portable measurement device that can support evaluation and trending of pulmonary gas exchange status of a patient in a point of care setting. The physiological demands placed on these world-class athletes are tremendous. “The transient stress on their lungs is similar to what is observed in patients who suffer from cardiac and respiratory disease.” It has been challenging, in the past, to assess the consequences of deep dives on pulmonary gas exchange, especially during true field-based conditions. “Measuring oxygen deficit has allowed us to establish the impact of ‘lung squeeze’ on gas exchange inefficiency in elite freedivers,” stated Dr. Philip Ainslie. Oxygen deficit was developed for detecting gas exchange inefficiency using a simple, non-invasive method. “Understanding gas exchange inefficiency in respiratory patients is fundamental to improving patient outcomes,” according to Dr. John B. West, the world-renowned physiologist who pioneered the concept. Freedivers place themselves in extreme conditions, which push the outer limits of human lung physiology and can lead to high oxygen deficit. The device provided rapid feedback to the research team tasked with assessing the freedivers’ gas exchange status. “We hope that our device will continue to aid clinicians by providing patients’ respiratory status rapidly and conveniently in situations where direct gas exchange measurement is either difficult or impossible; the device also has clear application to field-based conditions,” said Steve Lee, CEO of MediPines.